© Eberhard Riedel, "Wounded Mother - Northern Uganda, 2010"
This young woman was abducted by LRA rebels and forced to be a child-soldier. She gazes neither at us nor the baby on her lap. Of the tens-of-thousands of such youth abducted by LRA rebels under Joseph Kony in northern Uganda over a twenty year period only about ten percent survived their ordeal. 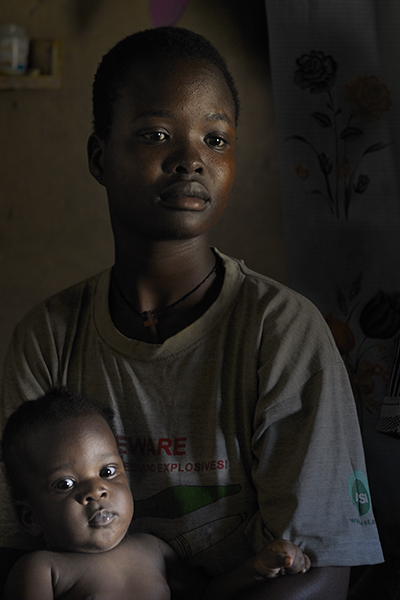 Many returnees find themselves orphaned and marginalized.